This window is used to make a refund by using the MSR device. 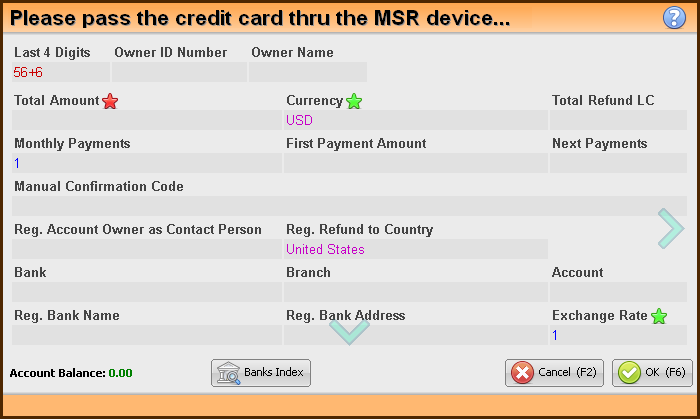 After using the MSR device, the credit card details will be automatically filled in the fields. Fill in the Total amount for the refund / withdrawal as well as the account owner and the country (for regulation purpose). The bank details of the account can be automatically filled by using the Bank Index. In order to close this window, use the Esc button.